Many refugees find shelter in camps. Refugee camps are seen as temporary establishments, because the hope is that at some point the people living there will be able to return to their homes. Therefore, long term investments, such as connecting the camps to the grid or providing them with expensive energy solutions are often discouraged. However, on average, people spend 17 years in a refugee camp. <ref>Pyper, J., 2015. Solar Power to Light Up Syrian Refugee Camps in Jordan. [Online]fckLRAvailable at: http://www.greentechmedia.com/articles/read/solar-power-to-light-up-syrian-refugee-camps-in-jordanfckLR[Accessed 16 June 2016].</ref>&nbsp;During this time, they usually have to rely on energy sources, such as biomass or kerosene for cooking and lighting&nbsp; which are mostly used in an unsafe, unhealthy and inefficient way. <ref>GVEP International, n.d. The Moving Energy Initiative: Sustainable Energy for Refugees and Displaced People. [Online]fckLRAvailable at: http://www.gvepinternational.org/en/business/moving-energy-initiative-sustainable-energy-refugees-and-displaced-peoplefckLR[Accessed 15 June 2016].</ref>&nbsp;Replacing these energy sources or devices with sustainable energy solutions in camps would have numerous advantages for refugees as well as for the host community and the environment. 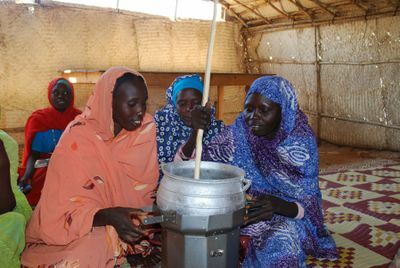 [Accessed 15 June 2016].</ref>&nbsp;Replacing these energy sources or devices with sustainable energy solutions in camps would have numerous advantages for refugees as well as for the host community and the environment. The dependency on firewood is also a gender problem. Collecting firewood is a task often performed my woman and girls. Especially in large camps they may have to walk for hours in order to find firewood, leaving them less time for other activities, such as looking after their children, working or supporting the refugee community. Furthermore, women and girls are often subjected to gender based violence during their search for firewood <ref>Arnold, K. et al., 2016. Energy in Emergancy Settings. Boiling Point, Issue 68, p. 1.</ref>. However, humanitarian efforts and business approaches to this topic need to be coordinated. Especially in developing economies there is a risk of disrupting emerging private sector energy markets through the free distributions of products. <ref>Kleiman, S., 2016. 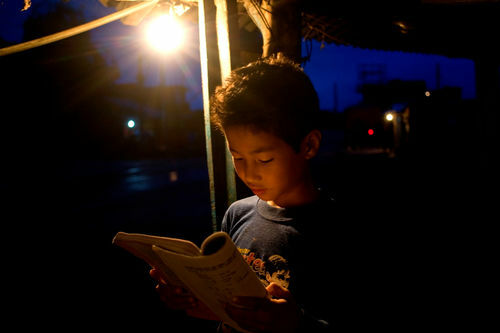 "With Light there is more life": Energy qaccess for safety, health and well being in emergencies. Boiling Pont, Issue 68, pp. 2-5.</ref>&nbsp;Therefore, humanitarian aid should always be carefully planned and, wherever possible, local establishment should be integrated so that the host community can benefit.